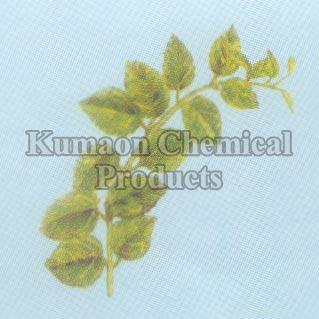 Gymnema Sylvestre that we offer is free from any sorts of impure elements as it is hygienically processed at our hi-tech processing unit. Our Gymnema Sylvestre is known for its amazing therapeutic uses such as reducing the blood sugar level and enhancing the insulin production endogenously. It also helps in inhibiting the absorption of sugar in the intestine. It is also considered as a refrigerant, tonic, and diuretic. As a trusted name in the industry, we offer our Gymnema Sylvestre Extracts in quality packaging for safety during storage, handling, and transit. We make available our product in bulk quantities and at reasonable price. The plant suppresses the sensation of sweetness and perhaps the name Gur-mar derived due to this peculiar property. The plant reduces blood sugar level and enhance insulin production endogenously. It also inhibits the absorption of sugar in the instestine. Plant is also considered as tonic, diuretic and refrigerant.